With Christmas on most parents minds trying to remain eco and not be completely bah humbug can be hard especially with the kids! 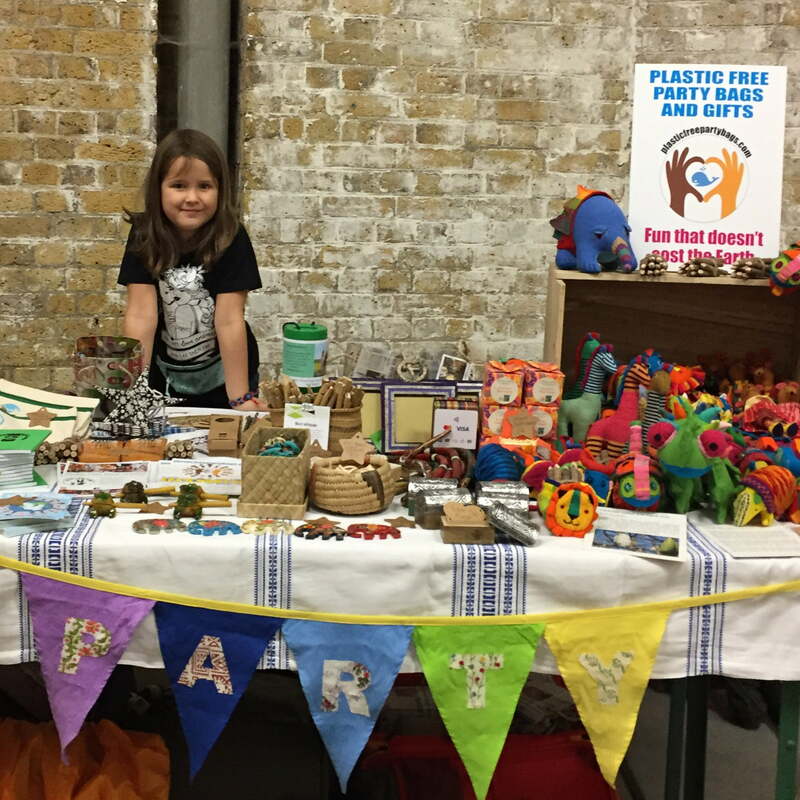 Such a gorgeous idea what inspired you and how did you first start Plastic Free Party Bags? 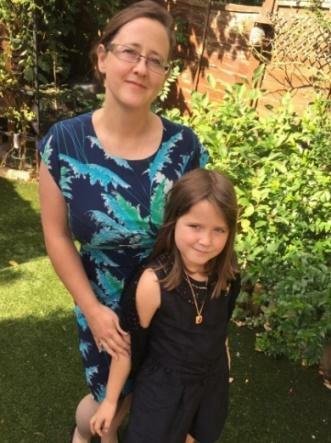 My seven-year-old daughter kept bringing home party bags filled with single-use plastic, which I was then responsible for. Trying to dispose of pieces of broken plastic toys that are designed for landfill was depressing and frustrating. We love party bags, and they are such a kind gesture – but they have a very negative long-term effect on the planet by adding to the huge plastic crisis. They teach our children to join a throwaway culture that is so damaging. I decided to start Plastic Free Party Bags to offer parents an earth-kind alternative that’s also fairly traded and free from animal products. It’s about great fun for kids but with nothing going to landfill. 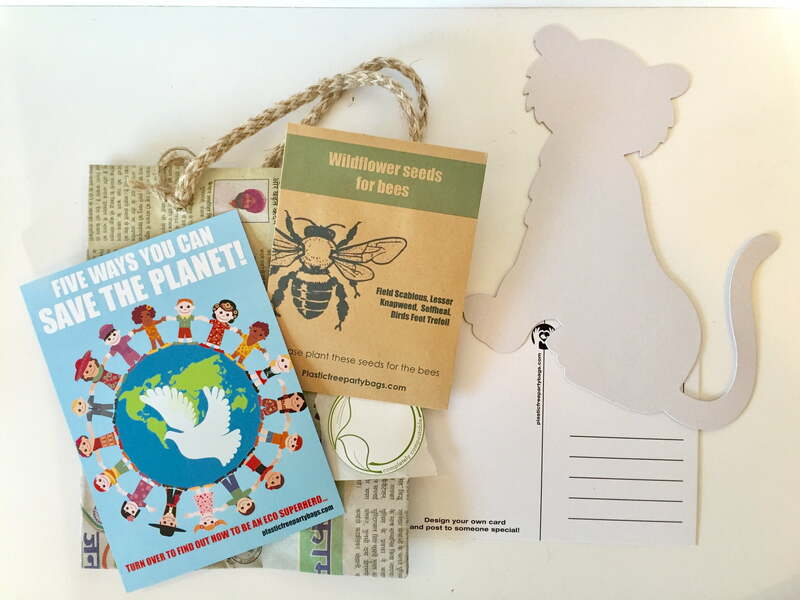 Pre-filled bags start from just £1.50 each and come with a fun eco card teaching kids what they can do to help our planet. What are the next steps for Plastic Free Party Bags? We have already expanded into toys, Christmas stockings and decorations. Now it’s just about getting the word out there that you can choose a plastic-free alternative. Thankfully, the plastic-free movement is strong and so many people are taking action to do their bit – whether that’s carrying around a reusable coffee cup, giving up animal products or buying plastic-free toys. In April, I will be able to apply for membership to the British Association for Fair Trade Shops and Suppliers (BAFTS), which will be a great way to complete our first year of business. We love the Fairtrade dolls you have. Do these purchases help support other causes? Our soft toys are fairly traded from Sri Lanka and made exclusively by women. Watching the film The True Cost in 2017, I was horrified about the treatment of garment workers so I knew we had to be Fairtrade. There are no factory lines, forced labour or child labour used in the production of these toys, and the facility was built near the villages of the workers, meaning they do not have to travel for hours a day. Some of the toys are even made in the homes of the workers. 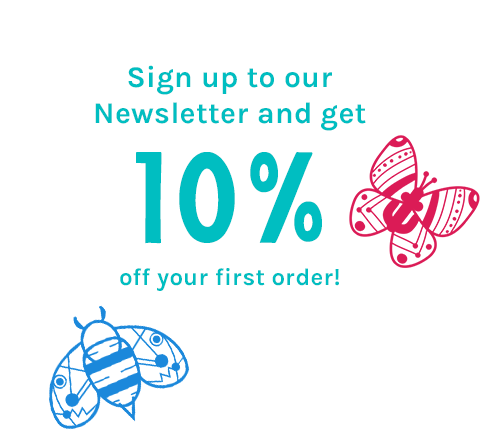 The toys are stuffed with kapok – which is natural fibre – making them a wonderful eco-friendly toy, made by hand with love to last a child’s lifetime. 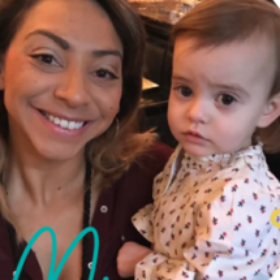 All our items are traceable on our website in the product descriptions so our customer can connect with the product and the people who make them. 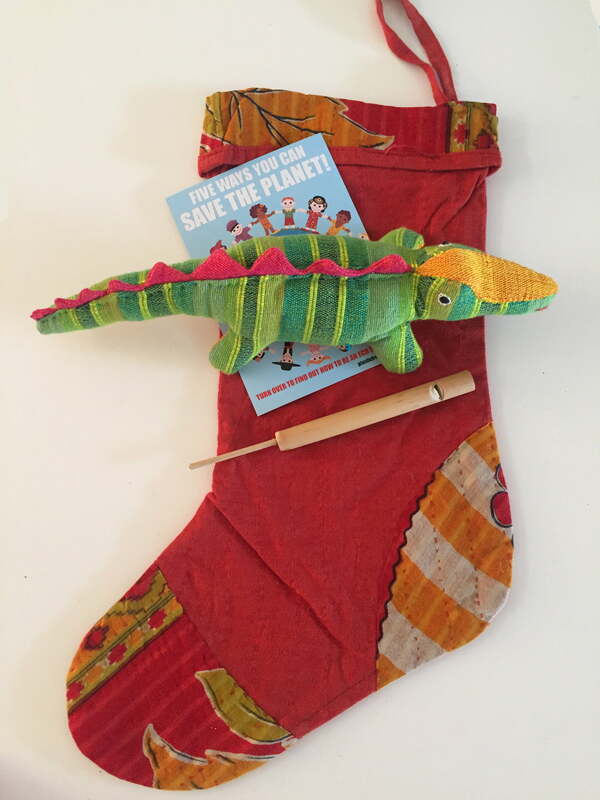 Christmas is just around the corner, and as parents, many of us are looking for eco planet-friendly stocking fillers, and hopefully spreading the message to family and friends about them. 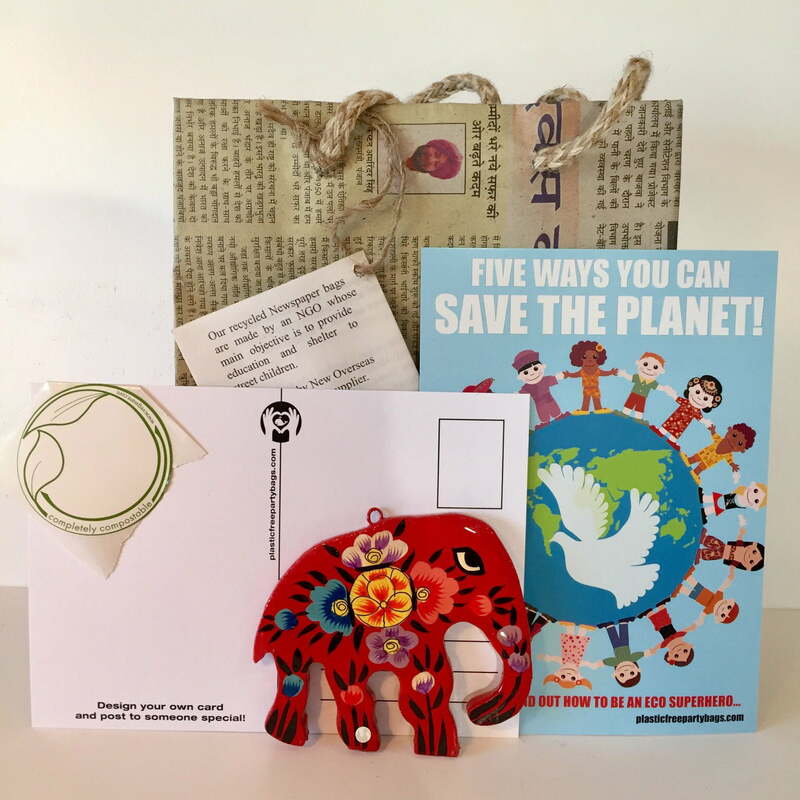 From Plastic Free Party Bags, what can you recommend? We have some beautiful pre-filled stockings, and our range of cotton and kapok toys make perfect gifts, as do our vegan bath bombs and twig pencils. The stockings themselves are made in Bangladesh from women who have been rescued from human trafficking and are given healthcare, skills and employment opportunities. What’s your top tip for an eco-friendly Christmas? As crazy as this may sound as a shop owner – buy less! Children especially get so much at Christmas, and the waste generated by plastic packaging is eye-watering. Go for quality and ethics over quantity. Getting gifts that last are much more meaningful that those few moments of ripping off the wrapping paper and forgetting what’s inside the next day. Support small businesses that directly benefit and give back to the wider community. And lastly what’s your favourite motivational quote? 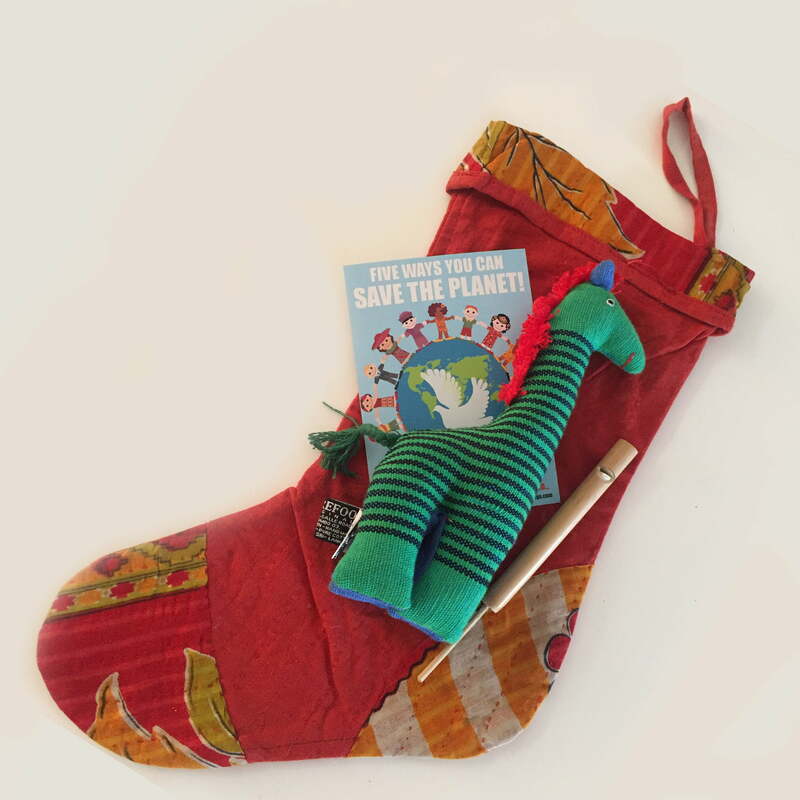 To check out their full range of Christmas stockings fillers and of course party bags the follow this link:www.plasticfreepartybags.com to shop their full range.